Home > Blog > Does PPC listings affect your organic rankings? Does PPC listings affect your organic rankings? Have you ever thought about it? When you use Google Adwords or Bing Adcenter to promote your website, you pay per click for Keywords and set up ad groups, does this in any way boost your organic ranking? To this day, we maintain a strict separation between our search business and our advertising business and we do not give any special treatment to Google advertisers. The fact that Google doesn’t give special treatment to advertisers may very well be the case. However if PPC activity does boost organic results by some points in the complex Google algorithm which makes up for the ranking result of the Search Engine pages. From my personal observing Google account over many years I’ve learned that pages with PPC ad campaigns associated to them are ranking higher on the organic page. They may not get in top positions as as a result of PPc but clearly are ranked often on page one, while pages without PPC may not be ranked for Keywords at all. This I observed on Google Search as well as on Bing/Yahoo Search. So what can be reasoning to give additional credit for a website and keywords which also have PPC campaigns? I can think of several reasons. 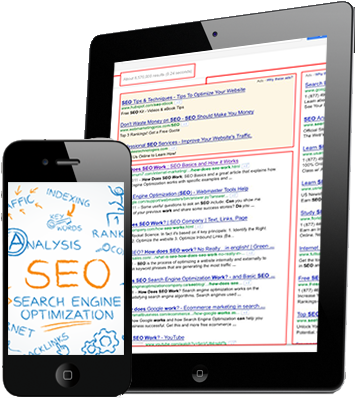 We all know Google’s ranking in providing search results for users queries boils down to one basic formula and that is providing you the most useful answers from the World Wide Web. If searching Google gives good results by which the searcher is happy he will come back to Google searching for stuff and that 5,922,000,000 searches a day in 2013. Google uses many factors to figure out which pages are potential best results for a query. Among them are links to pages which indicate how popular the page is, also how many visits and how long users stay on page or do transactions are factors. While we can very much assume a page for a products who’s creators are paying Google to advertise it, is potentially more relevant, has items in stock and will give better service as any other page which may not be updated at all. Another simple reason a page may rank higher while utilizing PPC is that Google will automatically look on your page to index it for keyword match relevance. Therefore a page which may have been overlooked before will rank higher as a result of PPC.